EDWARD I. ALTMANEDWARD I. ALTMANEdward Altman is the Max L. Heine Professor of Finance Emeritus at New York University, Stern School of Business and Director of the Credit and Fixed Income Research Program at the NYU Salomon Center.Dr. 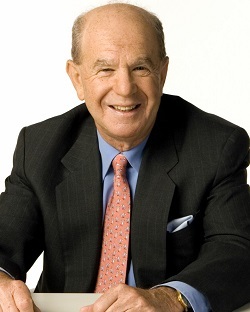 Altman has an international reputation as an expert on corporate bankruptcy, high yield bonds, distressed debt and credit risk analysis. He is the creator of the world famous Altman Z-Score models for bankruptcy prediction of firms globally. He was named Laureate 1984 by the Hautes Études Commerciales Foundation in Paris for his accumulated works on corporate distress prediction models and procedures for firm financial rehabilitation and awarded the Graham & Dodd Scroll for 1985 by the Financial Analysts Federation for his work on Default Rates and High Yield Corporate Debt. He was a Founding Executive Editor of the Journal of Banking & Finance and serves on the Editorial Board of several other Finance scholarly journals.Professor Altman was inducted into the Fixed Income Analysts Society Hall of Fame in 2001 and elected President of the Financial Management Association (2003) and a Fellow of the FMA in 2004, and was amongst the inaugural inductees into the Turnaround Management Association’s Hall of Fame in 2008.In 2005, Dr. Altman was named one of the “100 Most Influential People in Finance” by Treasury & Risk Management magazine and is frequently quoted in the popular press and on network TV.Dr. Altman has been an advisor to many financial institutions including Merrill Lynch, Salomon Brothers, Citigroup, Concordia Advisors, Investcorp, Paulson & Co., S&P Global Market Intelligence and the RiskMetrics Group, (MSCI, Inc.). He is currently (2018) Advisor to Golub Capital, Classis Capital (Italy) and Wiserfunding in London, Clearing Bid, Inc., SREI Capital (Singapore), ESG Portfolio Management (Frankfurt) and AlphaFixe (Montreal). He serves on the Board of Franklin Mutual Series and Alternative Investments Funds. He is also Chairman of the Academic Advisory Council of the Turnaround Management Association. Dr. Altman was a Founding Trustee of the Museum of American Finance and was Chairman of the Board of the International Schools Orchestras of New York.